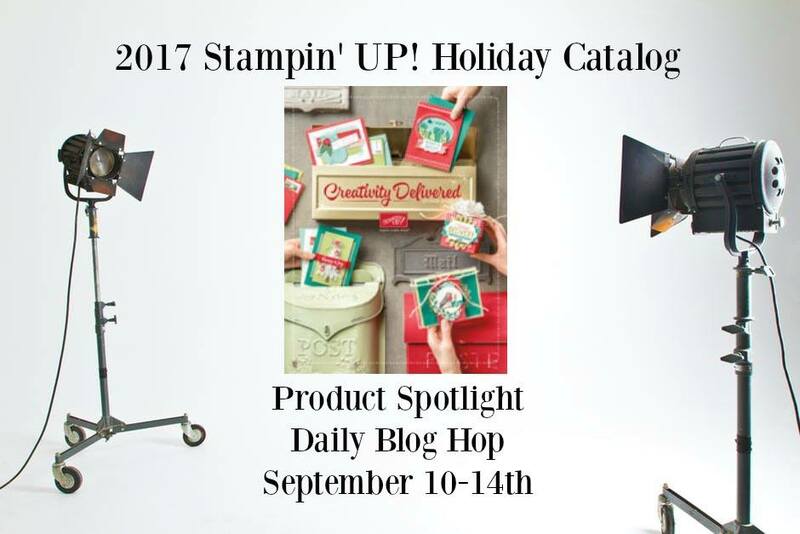 This is our last installment in our special 2017 Holiday Catalog Product Spotlight Blog Hop! But, don’t worry.. just come back and visit us all for new ideas every day! And, be sure to check us out on Pinterest and Facebook too. You can find my links on the right-hand side! So, today’s hop is all about the PICK A PUMPKIN BUNDLE (146024/146025). 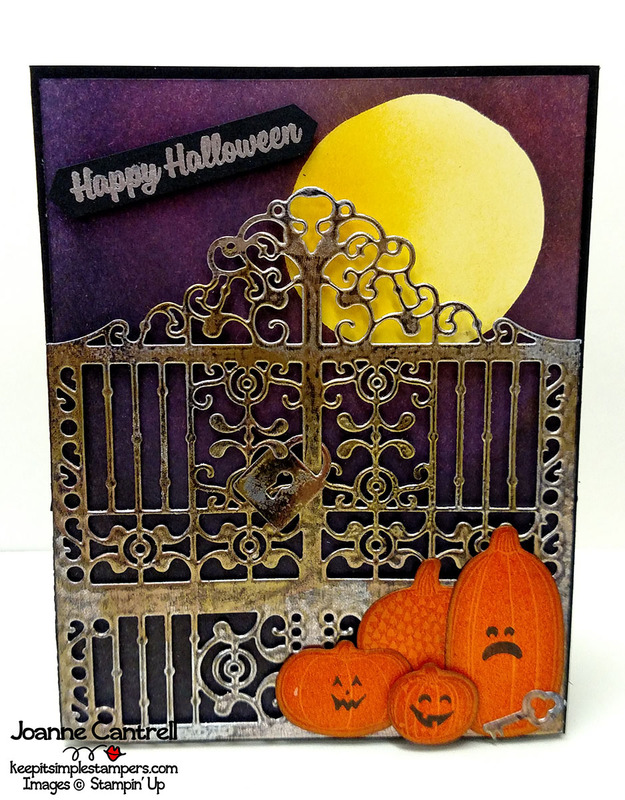 This bundle includes the Pick a Pumpkin Stamp Set (144989/144993) and the Patterned Pumpkins Thinlits Dies (144670). Here is what I have to share with y’all today! 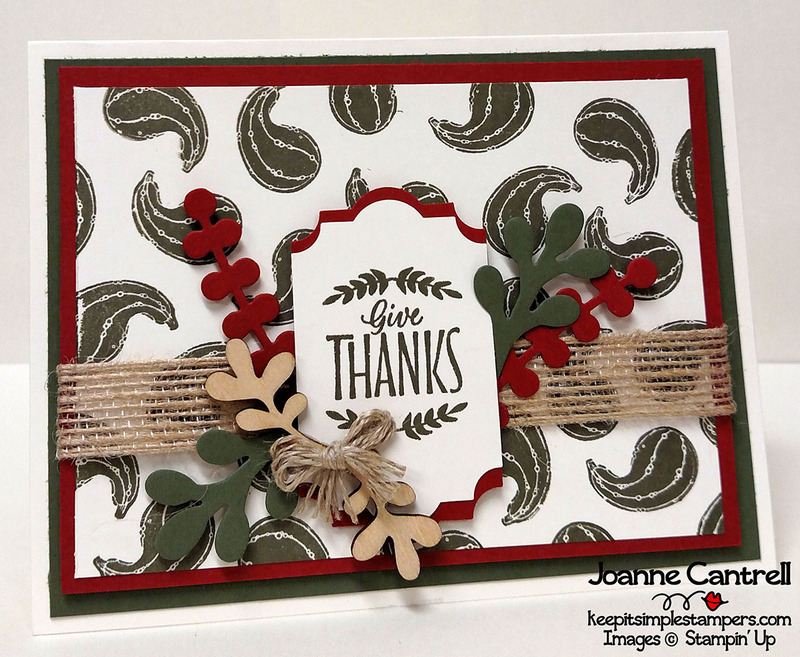 For this card, I used the gourd stamp and created a mock-paisley background in Always Artichoke. My layers also include Cajun Craze and Very Vanilla. I used the Thinlits to cut out some of the foliage. Added a little of the Touches of Nature Elements (144216) along with some Burlap Ribbon (141487) and Linen Twine (104199). The sentiment is from Labels to Love (144970/144967) and punched out with the new Everyday Label Punch (144668). To add a bit of interest, I cut another label out of the Cajun Craze, cut it in half and adhered to top and bottom of the sentiment. You can use it to make a wreath! I added some red Rhinestones (just plain ones I colored with a red sharpie!) and a bit of the new Real Ribbon 1/8″ Solid Ribbon (144631). 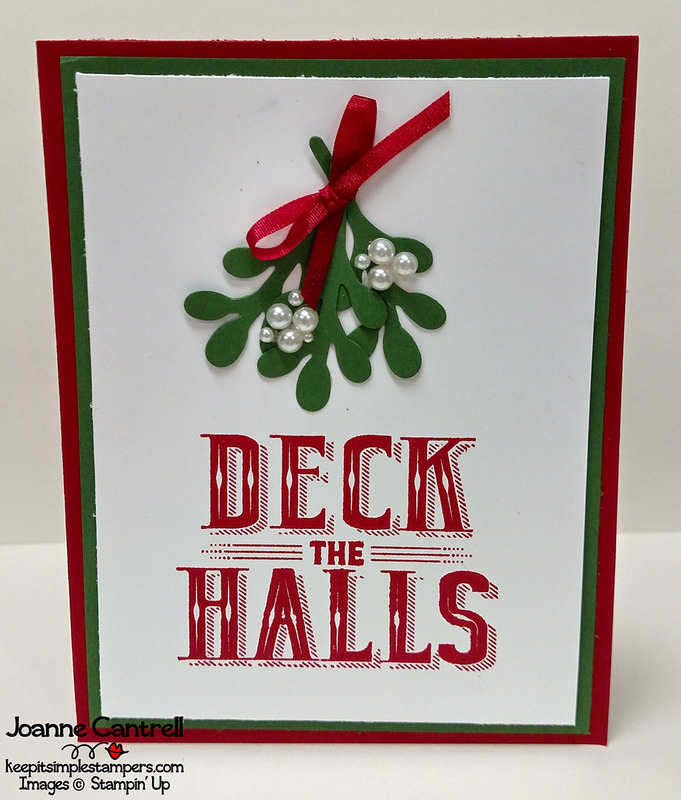 The sentiment is from the Holly Berry Happiness (142061) which carried over form the 2016 Holiday Catalog. 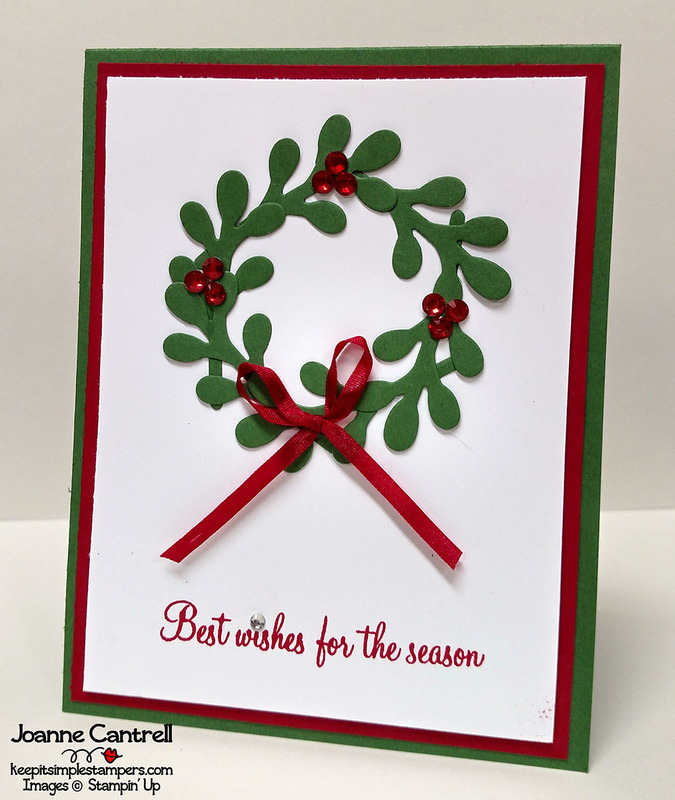 I just glued three of the branch tips together with Tombow glue… added the same ribbon from above and some of the Pearl Basic Jewels (144219). The sentiment is from the Carols of Christmas Stamp Set (144801/144804). So, don’t write this set off as just a Fall set… there are plenty more uses beyond. I can’t wait to see what you come up with!!! Now, hop on over to Valérie Perlin or hop back to Janet Wakeland!